This magazine loader manufactured by the famed Israeli Maglula will be sure to help you load your magazines quickly and efficiently so that you can spend more time at the range shooting. 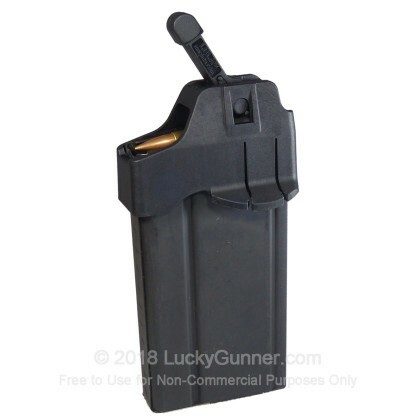 This is designed for military style 7.62x51/.308 Win rifle magazines allowing you to rapidly load and unload magazines. This is a perfect fit for the SCAR 17 metal or polymer magazines. 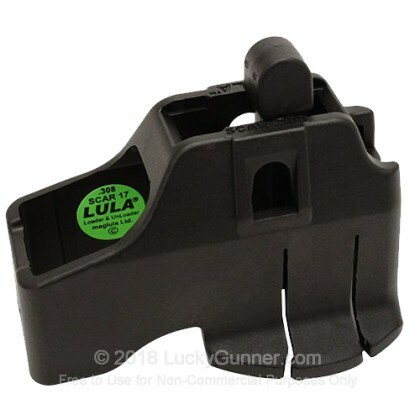 This MagLULA loader is a must have for the serious shooter, helping to save sore thumbs and lots of time.